I just love maternity sessions! Seeing a mom and dad to-be snuggle up for the afternoon and photographing that love is just the sweetest thing. This one is extra special, because it’s one of my gal pals from high school! 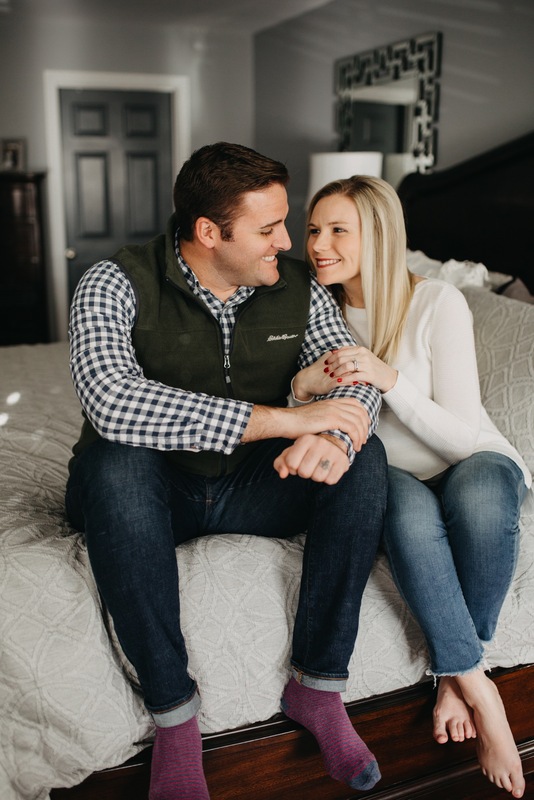 Brooke and Clint just celebrated two years of marriage and will welcome in a baby girl, Piper Leigh, sometime early February. These two had the sweetest love and I had so much fun hanging out with them for the afternoon! I can’t wait to meet sweet baby Piper next month! And, hey - I’m offering $25 off sessions AND $250 off weddings booked now through Jan. 31st. Reach out to me to book yours!